So we are 1 week into the new year, I hope it's started out to be a great one. We should start heating up soon with events and shows, but I do want to remind you about the first Pomona Swap Meet of the year which will be on Sunday January 17th at the L.A. County Fairgrounds and also be sure to mark your calendars for the "Grand Daddy" of all cars shows The Grand National Roadster Show which will also be held at the L.A. county Fairgrounds the weekend of January 30th and 31st. When you're there be sure to look for a beautiful car called The Red Pearl built by Richard and Debbie Gibbs, it's AMAZING. I would also like to take a moment and talk about a couple of things that are new on our website; we are starting a monthly CUSTOMER SPOTLIGHT on our CAR SHOW page, we are looking for our January entry so if you have had your car in any type of show recently please send us a few pictures of the car as well as your name, the show it was in and the award it won and we will spotlight you and your car for the entire month. Also you may have noticed a new page on our website called OUR CUSTOMERS we would like to thank our customers for their business by dedicating a page just to them, so if you can bring your car by our location I will take some pictures and post them, think of it like a "brag wall". And as always we are looking forward to promoting local car clubs, so if you run or are involved in a club please email me and I will get you the list of info we need so we can post you and also any events your club has upcoming. 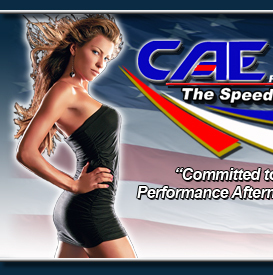 We here at THE SPEED SHOP are looking forward to a great 2010 and that, as always, includes you.